Apple engineers allegedly shared information that could benefit Qualcomm rival Intel. 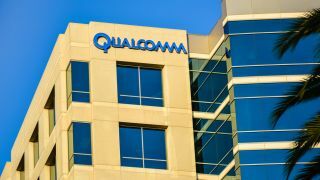 In the latest development in the ongoing legal battle between Qualcomm and Apple, the chipmaker has filed a lawsuit against the Cupertino-based company on allegations that it violated a software license contract which could have aided Intel in developing its own broadband modems. In the California state court of San Diego, Qualcomm claimed that Apple had used it commercial influence to gain access to the company's proprietary and highly confidential software at a source code level. The chipmaker noted that under its contract that the company was required to ensure that its engineers working alongside Qualcomm did not reveal details regarding its chips to other employees working on Intel's rival chips. According to Qualcomm, Apple contacted the company in July to request information that was highly confidential about how its chips functioned on a particular telecoms' network and that Apple including an Intel engineer as one of the email's recipients. In a separate incident, the company claims that an engineer employed at Apple reached out to a co-worker assigned to a competing project to obtain technical information about the chipmaker. Apple is reportedly planning to discontinue its use of Qualcomm's chips in next year's iPhone and iPad which has added fuel to the ongoing legal battle between the two companies.